MacAllister Outdoors offers a wide variety of outdoor power equipment from top brands like Cat®, Echo, Exmark, Kubota, Land Pride, and STIHL. 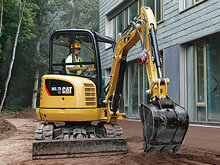 Starting at $619/mo with 3 YR Equipment Protection Plan. Contact us for details! 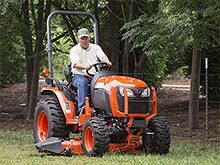 Build the Kubota that's right for you... and get to work! 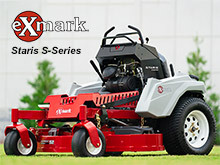 Exmark 52" Vantage Mowers CLEARANCE PRICING!